There's nothing like having the credentials of a critically-acclaimed TV series like Breaking Bad to give your new TV show a boost, and an intriguing visual helps to turn heads too. 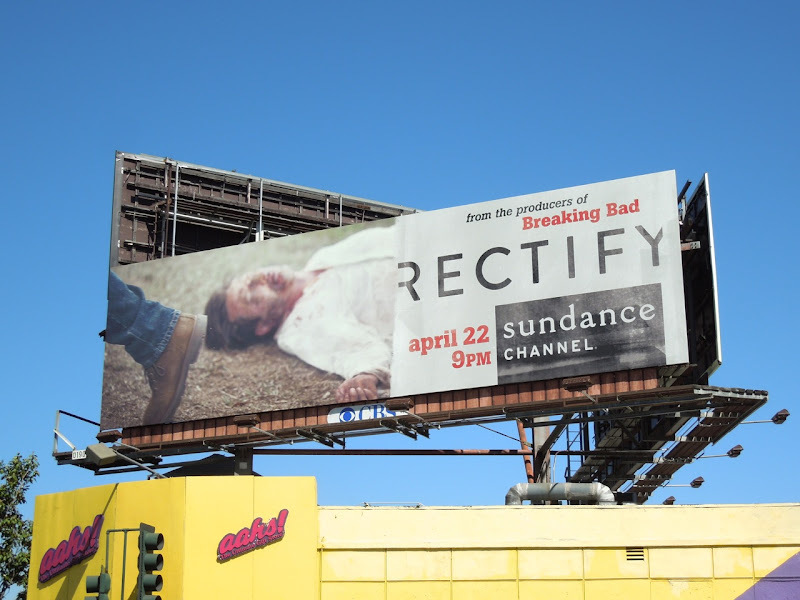 Rectify is the first original series for the Sundance Channel, and it centers around 'Daniel Holden' (Aden Young) who returns to his hometown of Paulie, Georgia to start his life anew when he is exonerated after serving 19 years on death row because DNA evidence calls his conviction into question. 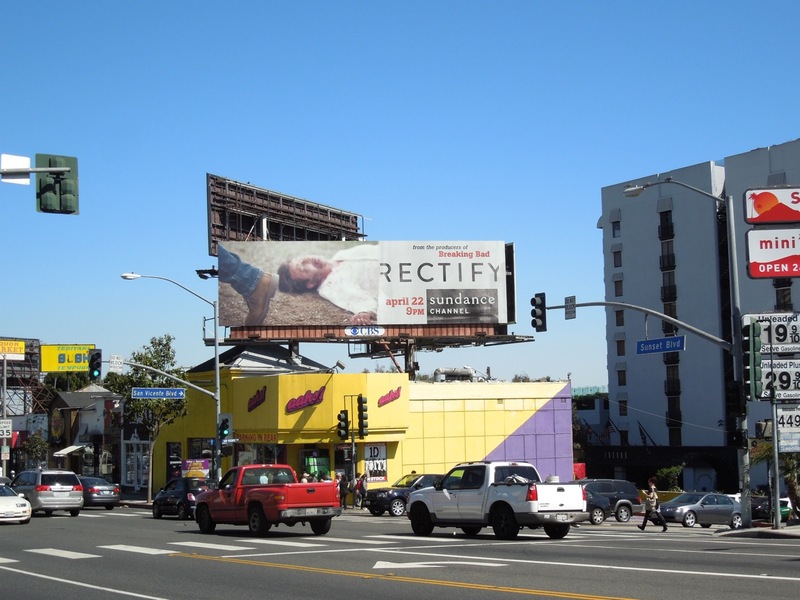 This arresting series premiere billboard was spied along L.A.'s Sunset Strip on April 18, 2013. 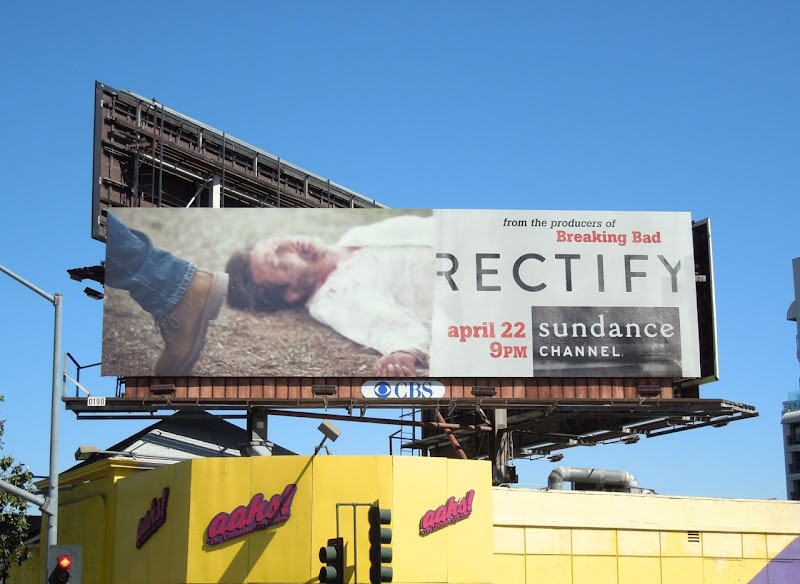 If you like this ad, be sure to also check out these Breaking Bad billboards.